There’s a special light at the northern tip of Denmark that has long attracted painters. The often stunning results are not as well known as they should be. Like those of the French impressionists they were often completed in the open air rather then in the studio. 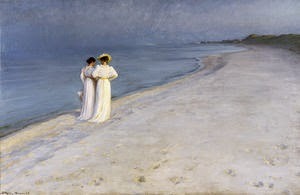 The re-opening of the Skagen museum after major refurbishment and expansion should increase ther exposure of artists such as PS Kroyer, Carl Locher and Michael and Anna Ancher. The collection was founded more than a century ago. The building which houses it was opened in 1928, Before the recent re-vamp it was able to exhibit only a small proportion of the 1900 or so works kept there. 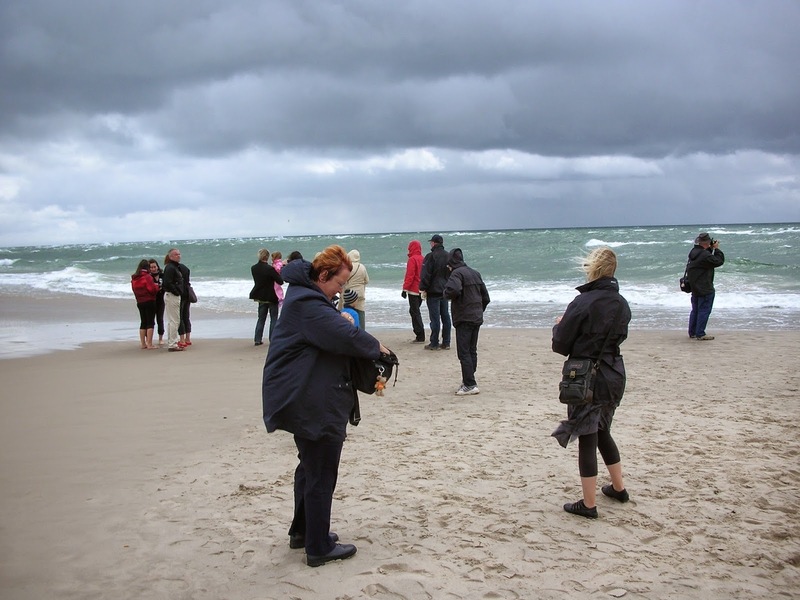 The museum is in the attractive small town of Skagen, which lies within walking distance of the point, at the northern end of Jutland, where the Kattegat and Skaggerak meet. See my earlier article about walking there.